You have reached HarperCollins What Lives in a Shell? (Let's-Read-and-Find-Out Science 1) in Findsimilar! Our expertise is to show you Paperback items that are similar to the one you've searched. Amongst them you can find What's It Like to Be a Fish? 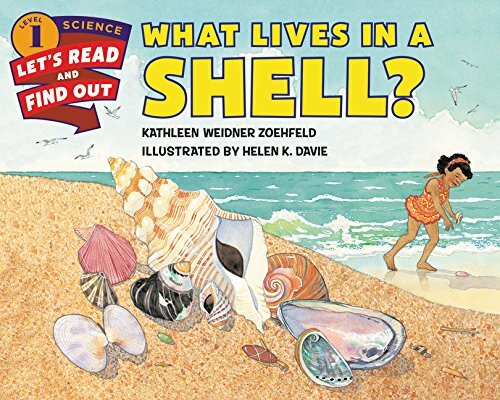 (Let's-Read-and-Find-Out Science 1), Seashells by the Seashore, Seashells, Crabs and Sea Stars: Take-Along Guide (Take Along Guides), National Geographic Readers: At the Beach, Red-eyed Tree Frog (Rise and Shine), America's Champion Swimmer: Gertrude Ederle, Jamaica's Blue Marker, Who Eats What? : Food Chains and Food Webs (Let's-Read-and-Find-Out Science 2), A Nest Full of Eggs (Let's-Read-and-Find-Out Science 1), How a Seed Grows (Let's-Read-and-Find-Out Science 1), all for sale with the cheapest prices in the web.